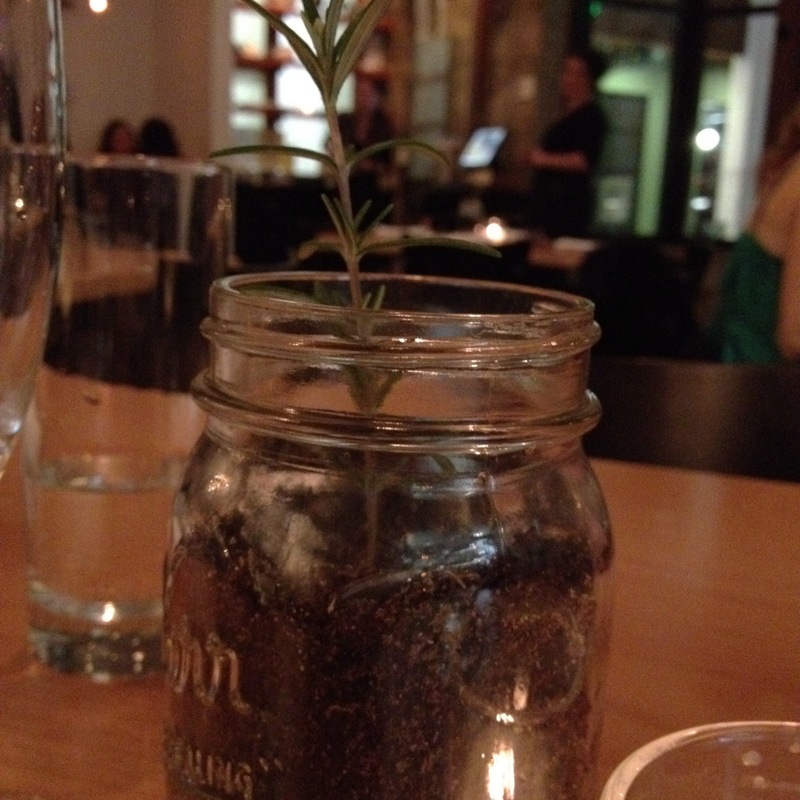 Kerr canning jars with a sprig of rosemary are part of the table settings at Aviary. Aviary is finally open again, months after a July 4th roof fire shuttered the chic small-plates eatery on Alberta Street. The space looks basically the same except for the addition of a sleek bar in back, much appreciated if you must wait for a table. Just as before, the menu features beautifully composed dishes with nicely balanced flavors. As before the fire, our only complaint is the sometimes-spotty service. Nevertheless, we consider ourselves lucky to have Aviary back in the neighborhood, and we look forward to many more dinners. Here are some photos from our New Year’s Eve prix-fixe dinner.